If you must learn about black holes, you could do a lot worse than to pick up this engagingly written book. Stanford physicist Leonard Susskind provides a marvelous introduction to the subject that is both readable and easy to understand. Or at least as easy as something involving the two great 20th-century advances in science can be. The 20th century brought two revolutions. The first, which dealt with objects moving near the speed of light or having very large mass, was relativity, the brainchild of Albert Einstein. The second revolution came when people starting thinking about very small objects, such as the stuff inside the atom. The resulting theory is called quantum mechanics and was developed by a small group of young scientists, the most familiar probably being Werner Heisenberg. With increasing urgency over the past 50 years, theoretical physicists have tried to tie these two great 20th-century advances together. So far, we have not been successful. And this is where Susskind's "war" comes in, because it looked as if there could well be a fundamental contradiction between the two theories. At least that's what Stephen Hawking argued. Remember that a black hole is an object so compact and so massive that nothing, not even light, can escape from it. Stuff can fall in, but nothing can come out. The black hole forms a kind of nexus where both relativity and quantum mechanics come into play. In 1983, Hawking proved that black holes are not eternal. In fact, over unimaginably long spans of time, they evaporate. And that's when the "war" started, because if a black hole evaporates (and everyone agrees that it will), what happens to all the information that was carried by the stuff that fell in? Hawking argued that this information was lost forever. The problem is that one of the basic laws of quantum mechanics is that information cannot be lost. 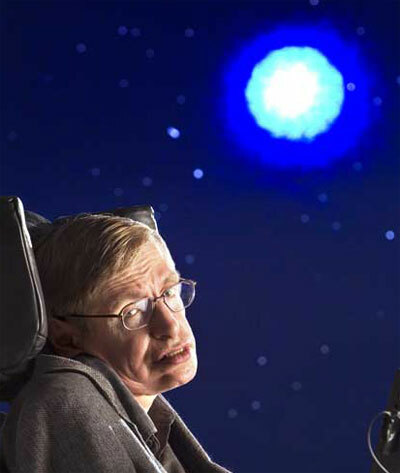 Hawking argued that with the material that evaporated from the black hole, the information simply disappeared. In the end, Susskind and his colleagues were able to resolve this dilemma and, in the words of the subtitle, "make the world safe for quantum mechanics." I won't spoil the book for you by telegraphing the ending. Suffice it to say that it involves a tour through the whole arcane menagerie of modern physics. The year was 1983. The guests included, among other notables, Murray Gell-Mann, Sheldon Glashow, Frank Wilczek, Savas Dimopoulos, and Dave Finkelstein. But for this story, the most important participants were the three main combatants in the Black Hole War: Gerard t'Hooft, Stephen Hawking, and myself. What's so bad about losing a bit of information inside a black hole? Then it dawned on us. Losing information is the same as generating entropy. And generating entropy means generating heat. The virtual black holes that Stephen had so blithely postulated would create heat in empty space. Together with another colleague, Michael Peskin, we made an estimate based on Stephen's theory. We found that if Stephen was right, empty space would heat up to a thousand billion billion billion degrees in a tiny fraction of a second. AR Reading this book sounds like a pretty dumb way to try to catch up with some deep physics. As for Werner Erhard, I became acquainted with his works in London in 1985. A girlfriend had just "done" The Forum and liked it so much she persuaded me to do it too. It was quite a pleasant experience and I did not feel conned at all.